Trade Secretary Liam Fox announced that Richard Burn, currently the Department for International Trade’s director general in China, would become the first person to take on this new role. In doing so, he becomes the first of nine UK HM Trade Commissioners to promote the UK in important markets across the world. 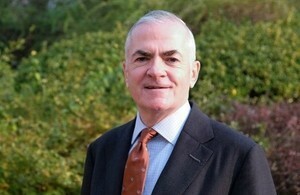 Mr Burn said China presents ‘unrivalled opportunities for British companies’. “My role as HM Trade Commissioner for China will be to build on the strong links already in place, as we intensify the ‘golden era’ of UK-China trade. My top priority will be to achieve better market access for sectors in which the UK excels,” he said. NPA senior policy advisor Georgina Crayford welcomed the appointment of Mr Burn. “This is great news for the British pig industry,” she said. “This will build on the fantastic work done so far by Karen Morgan. China is an extremely important market for UK pork, not just in terms of volume but because, as well as high value cuts, it also provides an outlet for ‘fifth quarter’ parts of the pig which have little value in Europe.